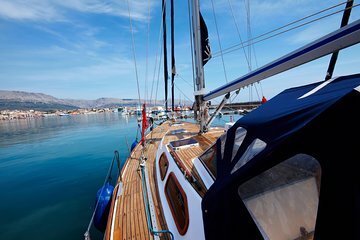 Indulge in the ultimate day of fun in the sun on this all-inclusive, full-day sailing trip to ancient Delos island, a UNESCO-listed heritage site. You’ll also stop in scenic Rhenia Island for a refreshing swim and snorkeling session in sparkling, sun-dappled waters. A freshly prepared BBQ lunch is included, and you can upgrade to include door-to-door hotel transfers.